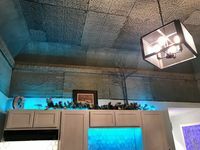 Property 4: Large private apartment with view of the Old Jail in historic Jim Thorpe..
Property 5: *NEW* Perfect Retreat -- Dreaming of a Weekend Escape! Property 13: The Outdoors Are Calling so Stay At The Acorn Cottage! Property 19: Spacious 3 Bedroom, 2 Bath Apartment/home In Historical Carriage House. Property 24: Family Friendly Home. Clean, comfy, easy parking. Property 26: Cozy retreat on Jack Frost Mountain! Property 30: The Lehigh Lodge - Featured in Philadelphia Magazine - Book Now for Summer! Property 34: Lakefront--Hot Tub, Pool Table, Dock, Boats, WIFI-- !! Property 38: Rent the All NEW Pocono Mountain Oasis 2. NEW 7 Person Hot tub & Playground. Plan a Pocono Vacation! Low Rates & Linens incl. Close to All Area Attractions! Property 42: Plan a Pocono Vacation! Low Rates & Linens incl. Close to All Area Attractions! Property 43: A Great Place to Relax & Unwind- Superb 3 Bedroom Home w/ Private Beach Access! 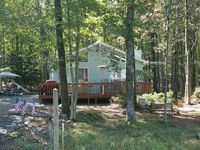 Property 45: Blakeslee Forest Retreat w/ Fire Pit & Deck! Property 47: Try some adventure or simply relax!!! Mercedes was awesome. She really cares for her guests. She even left us an Easter Card with a welcome basket. It was a wonderful welcome. The home was clean and comfortable. The kitchen was fully stocked. The area is beautiful and tranquil. We can&rsquo;t wait to go back.